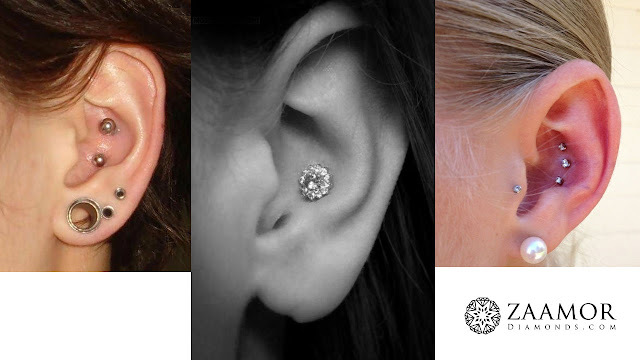 Do you know the types of Ear Piercing? 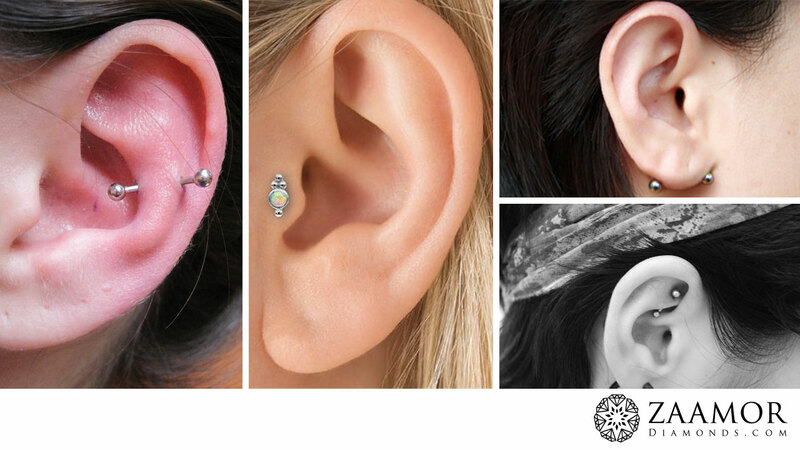 Did you know that your ear has a plenty of locations where ear piercing can be done? You don’t know it yet. Grab a mirror, point it towards your ear and imagine a pierce on a particular location. 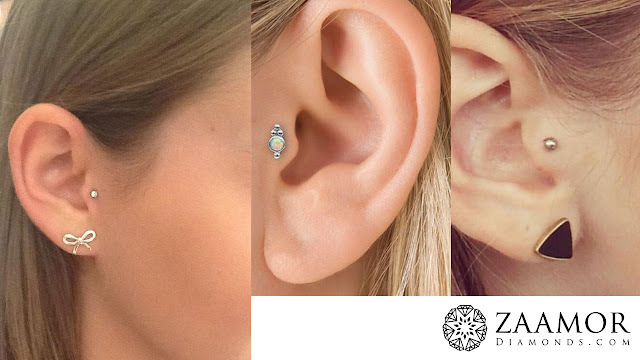 Getting cool ear piercings can be very thrilling, but if you want to ensure you’re making the right decision, you need to carefully choose the location on your ears. 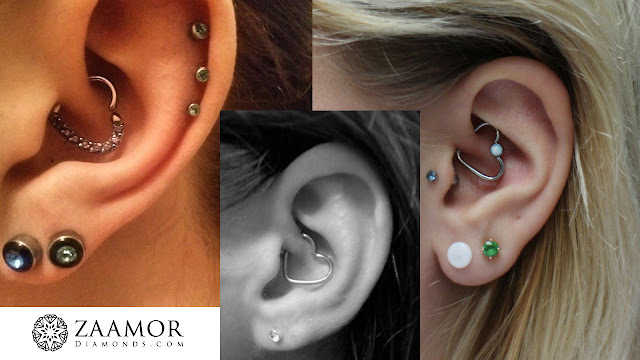 Ear piercings are so popular among teenagers and adults as its always in style and trendy. Ok just tell me one thing, how old you are when your ears are pierced for the first time? Are you still up for piercing your ears? Then you better learn the most popular ear piercing types before you make up your mind. It is the oldest, most common, most natural and most popular form of ear piercing. This is “the original ear piercing type”, simply because it is much more acceptable than the other ear piercings. 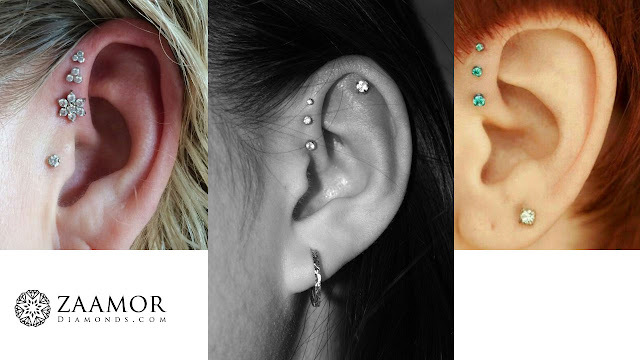 This refers to the piercing done at the middle part of the outer rim of your ear. The auricle is loaded with nerves and hence, getting it punctured tends to be too painful. It involves perforation of the ear cartilage. 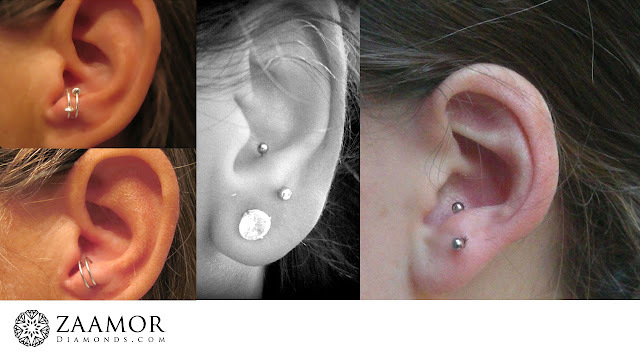 Conch piercings are of two types-inner and outer. 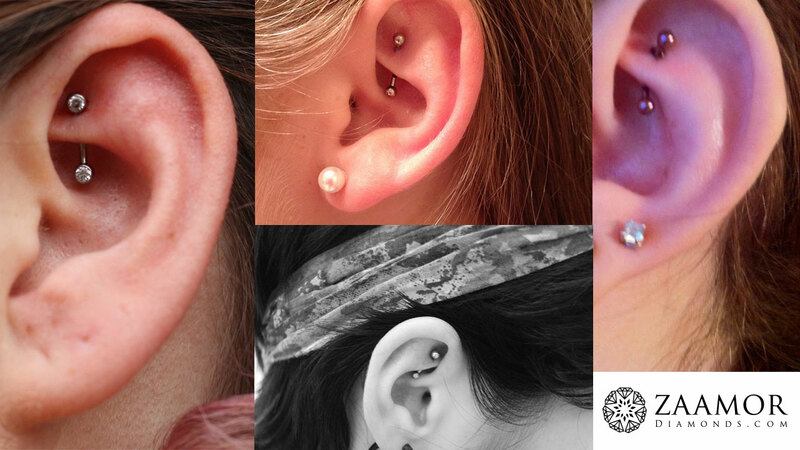 Tough the inner conch piercing is more popular; the outer one looks just as good. 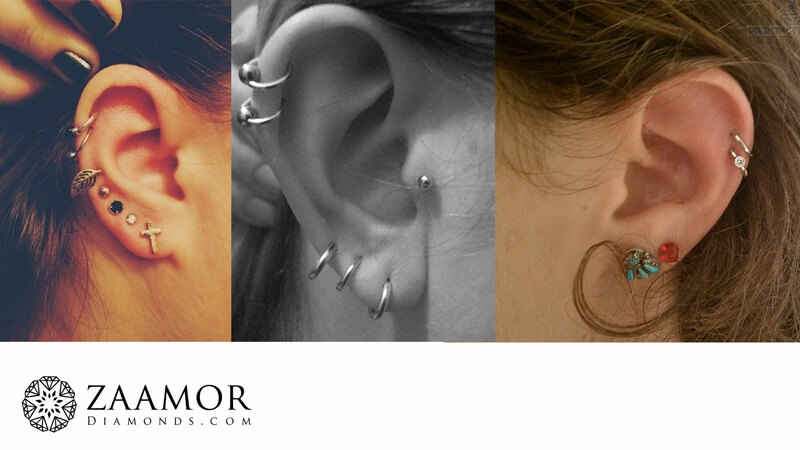 In 90s or early 2000s, there were two things that shrieked rebel-tattoos and helix piercing. 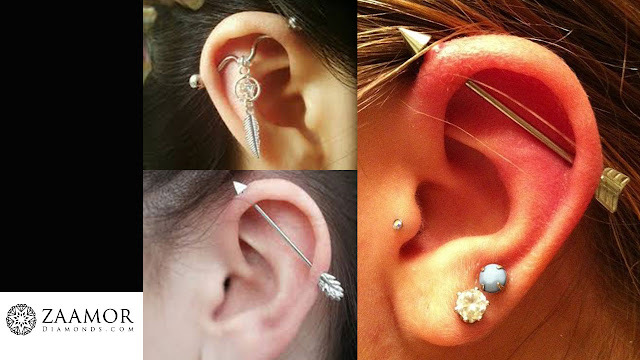 This piercing is generally done with the help of piercing gun and is extremely painful. 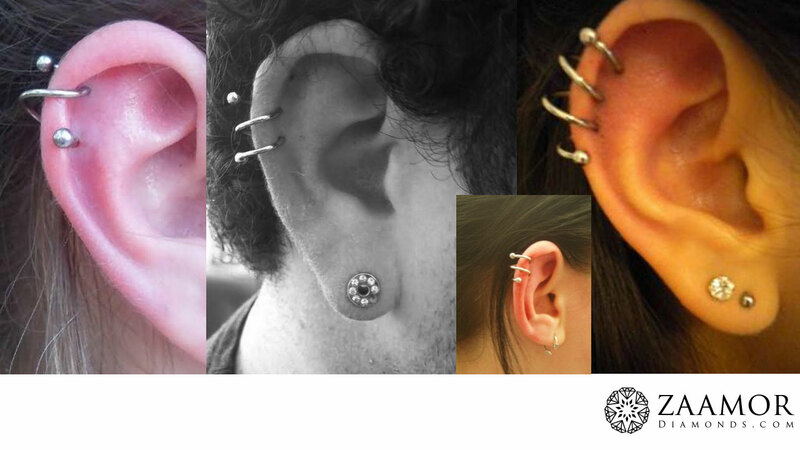 There is nothing that can match the coolness quotient of industrial piercing or Scaffold piercing. usually, an earring in the shape of an arrow is used for this, to provide a more dramatic touch to it. This one is highly infamous piercings due to their being highly prone to infections and irritation. When adorned with pretty gems, it looks absolutely stunning. 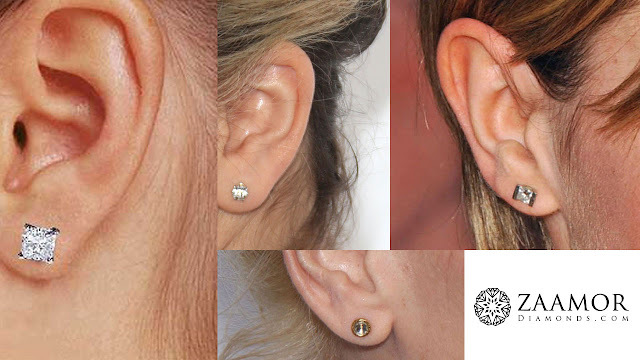 It is done on two different cartilages, more specifically, the cartilage fold on the upper inner ear. It tends to get stretched and inflamed very often, causing a lot of further pain. Yet, it is highly captivating when bejewelled with a white, sparkling stud. Worth the pain, do we say? 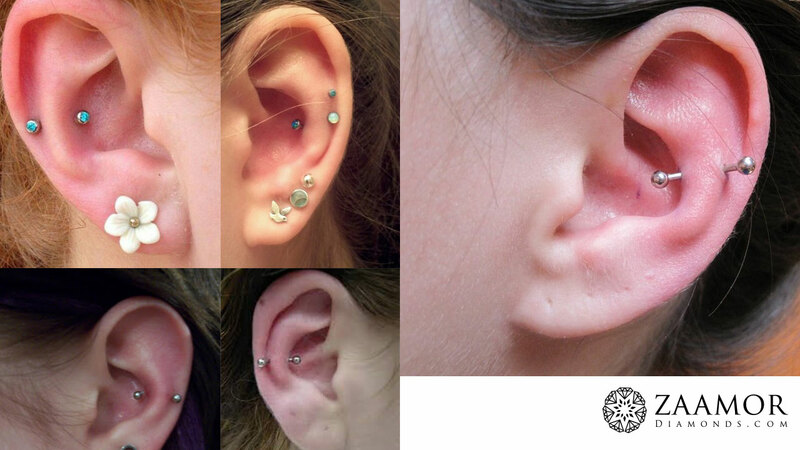 Snug piercing is the adjacent, inner ear counterpart of helix piercing. Consequently, it is also called anti-helix. 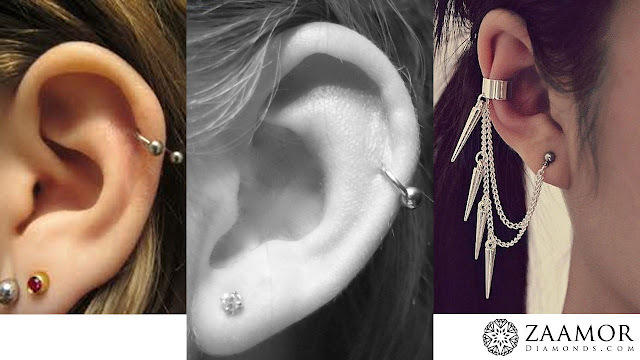 It is a lot like industrial piercing except that the piece of jewelry does not connect the holes horizontally but rather from front. 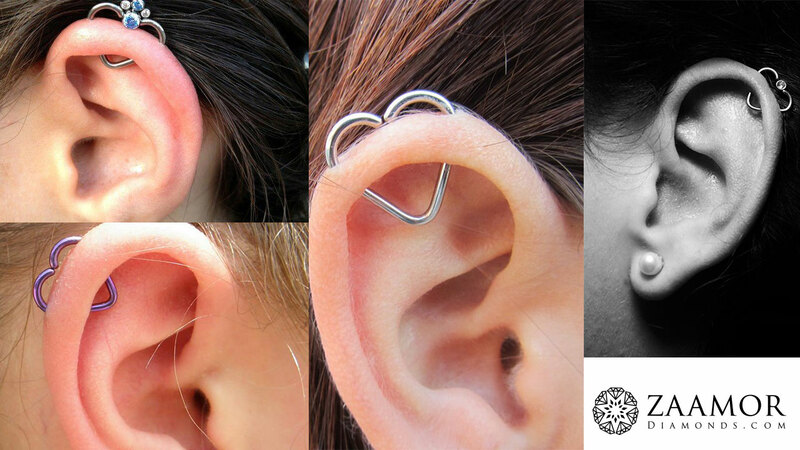 This piercing has the ring pass through the ear’s innermost cartilage fold. This piercing might seem horrendous but when you get down to business, you’ll realise it is not as painful as it looks. This one is an absolute die-for! You need three or more earrings of same design but different sizes. This kind of piercing is a combination of three or more piercings done on the lobe at a certain interval from each other. You may use pretty hoops or twinkling gems for the same. The most enigmatic piercing of all deserves to be saved for the top spot. As the name suggests, it is consisted of a number of piercings that are connected to each other with the help of a single piece of jewelry. This piece of jewelry is generally in the shape of a spiral. 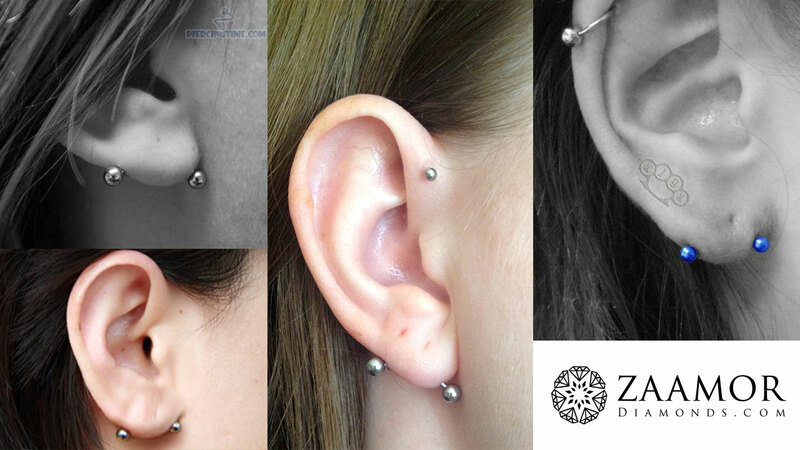 This one works on the similar function that is carried out in graduate lobe piercing. Your helix is pierced at three places on a regular interval. Three graduated ring or studs are then inserted into the puncture junctions. Don’t wait any more. Pick your favorite option and get those piercings done. Opt for various combinations. Experiment with them. You are bound to look drop dead gorgeous and charming. Disclaimer: All images of used in the article are purely for reference and they do not support/endorse the brand. If you have any concerns, we are ready to remove it. What Jewellery do you wear for Workplace? The Best of Onam – You should Never Miss it! 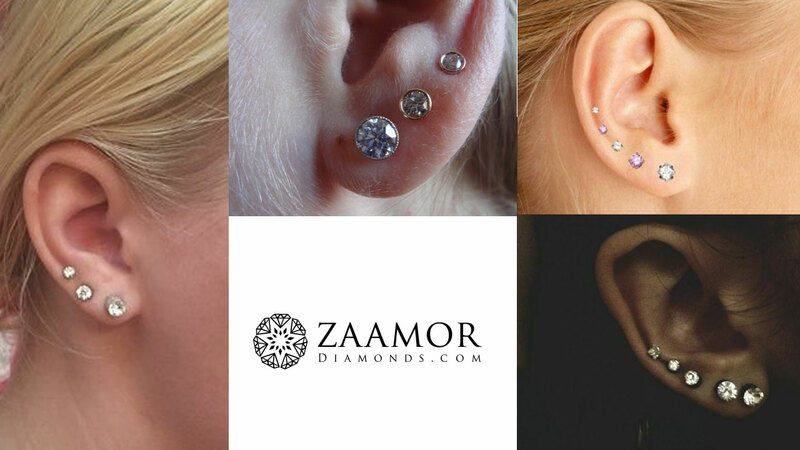 Zaamor Diamonds Blog: Do you know the types of Ear Piercing?